Almost Human. 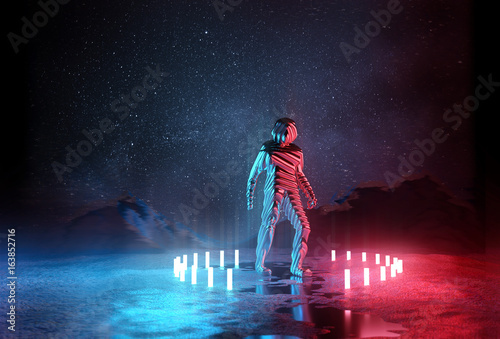 Strange Futuristic spaceman illuminated by red and blue lights at night. 3D Illustration.